Doc Savage: Musical of Bronze. It’s more like the “why?” factor. Yup, that’s me, picker of the low hanging fruit…though there doesn’t seem to be much hanging on this cover. Either he has Bell’s palsy or the artist doesn’t do faces. The whole left side of his body is subtly different from the toes of his boots to his face. I didn’t think Steve Brookstein had got that desperate. 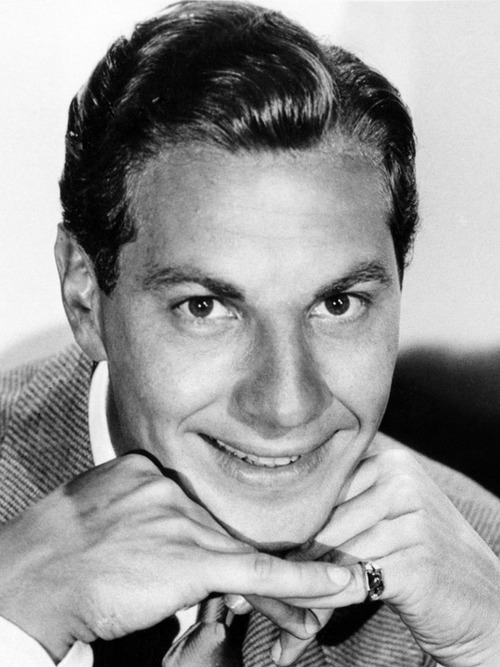 Eventually, Zeppo got tired of always having to play the straight man, and abandoned the other three for a career in space engineering. Sure, the wax-dip pants look great now, but the minute he takes a step, catastrophe (ahem). The three large cats seem scared of the shirtless wonder for some reason. Perhaps it has to do with his tight pants, or whatever it is he’s got in his right hand. At any rate, I wonder if he’s trying to summon a new shirt. @Lillie: I was about to argue with you about of what the trousers were made, but then I saw that his trousers have no belt loops. The belt is purely ornamental. 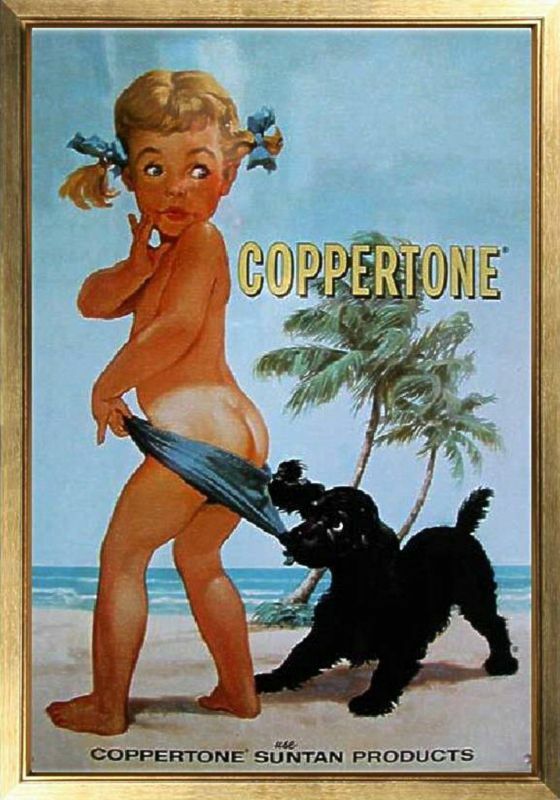 Been trying to decode this bronzeness thing, and realized it must be a science fiction version of the classic Coppertone®️ print ad. The furry guys behind him are waiting for the right moment, jostling each other to see who gets to make the big pull. Whatever that is on his head looks like you could slice it up and serve it for dessert. In the 100th episode of Stargate SG1 they did a spoof,’Wormhole Xtreme’. 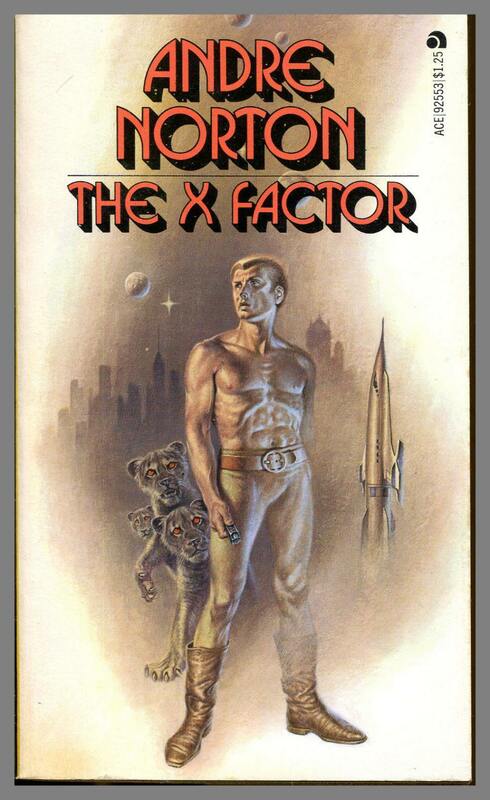 Someone said, of the title, ‘you need an X so people know it’s sci-fi’. I was going to suggest the “weird pecs” tag, but in fact those look okay. It’s the rest of his torso that looks wrong. Is his left side beaming in or out of frame? Are the fuzziness of that, the missing left arm, and the wrongness of the torso and face due to some transporter malfunction? And why is everything so beige? Do we have a generic “animals” tag? Because methinks those lions deserve a mention. @fred—not dessert, it’s a slice of pizza. @Tat Wood: I second your motion. @Tat Wood, Anna T.—I concur with you both. How do you think this new tag should read? @Anna T., B. Chiclitz: ‘Brand X’? @Tat Wood—il miglior fabbro! Gets my vote. OK I’ll get one of the staff to put together a “Brand-X” tag. Maybe a child labourer we hire for the Summer. @Tag Wizard—I hear the taggers over at Chinese GSS are quite skillful and will work for the price of a visa. @Anti-Sceptic: that would explain his arm placement, and his lack of expression. No doubt the trousers are giving him a wedgie which he’s trying to clear.